People, people, people. Everywhere. How in the world do you keep them organized for your wedding? Or how do you even know who to invite? From stationery to food, the cost of each wedding guest can be anywhere from $20 to $100, and your budget is what it bubbles down to when it comes to who. But we won't be chatting about who you should invite and how many, but rather how do you organize all these people, on paper and in person? It's a little thing called group and crowd management, and warning: my former teacher colors are about to fly high and loud with this topic because often, it's one thing brides and grooms forget when planning their weddings. 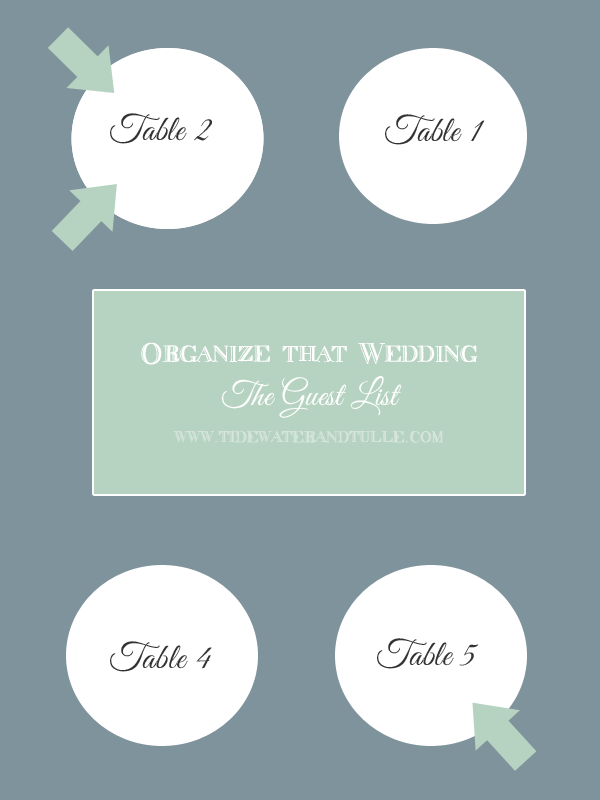 With these organizational tips, you'll not only have peace of mind, but also some very happy wedding guests (and even wedding pros) on the big day! Go digital for your entire guest list management. Sure, Excel may be great for most, but we found Xwavesoft's Guest List Organizer to be one of the best things to spend $4.99 on. It keeps track of your guests' addresses, RSVP responses, meal choices, tables (if doing assigned seating), and much more PLUS it makes it super easy to make .PDFs available when you're ready to print everything for your wedding planner or day of coordinator. Want to work on your guest list while on your work break and didn't bring your wedding binder? No prob! Everything is in the Cloud and can sync to your computer, iPhone, or iPad. It really can't get much easier than that! Hit up the dollar store for your assigned seating arrangements. If you're doing assigned seating, channel your high school years and get out some good ole fashioned poster board and sticky notes (like these from Amazon )! As you receive your RSVPs, write the guest's name and his/her meal choice on a sticky note flag. When you're ready to put together your seating chart, all you will have to do is arrange your sticky notes on your poster board filled with table numbers! Bonus: If you have a guest with food allergies, you can make a little symbol on their stick note flag! Boom. You just became the most amazing Bride or Groom ever. If you're not having assigned seating, have a sign at your reception that says so. Nothing says bottleneck traffic like guests wondering what to do! While wedding planners are great about communicating to guests what they should be doing, a sign can help everyone, especially if you have a large wedding guest list. Fun sayings like "We are so excited you're here! 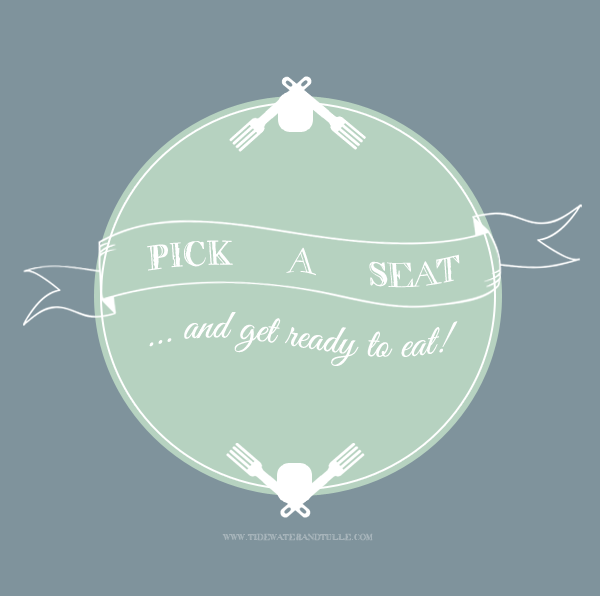 Pick a seat and get ready to eat!" Have a ceremony program with the whole scoop. On the wedding day, the best way you can communicate and organize your wedding guests is to have a ceremony program detailing the entire day. Include not only reception addresses, but also times of reception start AND end. If you have a special exit (like sparklers or light wands), make a note so people know how long they should plan to stay! The more you communicate what you're planning, the more you'll have people excited to be a part of it! Having trouble getting mailing addresses from your guests? Send them one very easy website link! Consider using Postable, a free online mailing address gatherer. Double bonus is that you can use it way past the wedding, particularly during the holidays. Consider activity stations at the reception. It sounds a little strange to "organize your wedding guests" on the day of, but it's a total comfort thing! You will have wedding guests who might be unable to dance or are a little shy. Nothing says "We are really glad you're here" like having alternative activities at the wedding reception. Whether it's a table at the door with word puzzle packs (grandparents love these!) or a caricature artist station or a build-your-own taco bar, giving people things to do is a wonderful way to make everyone feel welcomed and in the celebratory spirit. What are some of your own organizational tips you have? Share in a comment below!